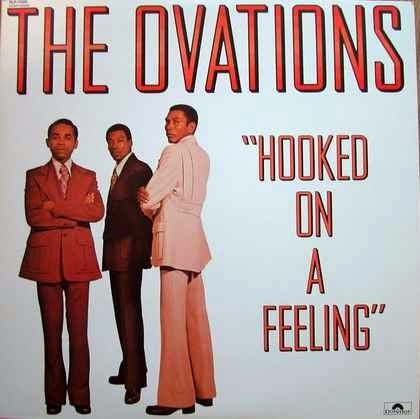 The Ovations were an American R&B vocal group. The Ovations had recorded for the Memphis-based Goldwax label in the 60s, and had reached the R&B singles chart with "It's Wonderful To Be In Love" and "Me And My Imagination". However the label had collapsed in 1969, leaving the group by themselves. In 1971 they were signed to the Sounds Of Memphis label with the help of producer Dan Greer. The next year they scored themselves a hit, their highest charting to date at the time - "Touching Me" got to #19 R&B. An album followed, produced by Greer and featuring the Hi Rhythm Section. Compared to their earlier work with Goldwax, their new material was smoother and more polished, but that was to expected and just went to show how the sound of soul music was beginning to change as the 70s progressed. The defining characteristic of the group was still the Sam Cooke soundalike vocals of leader Louis Williams. Alongside the new hit, the album featured a cover of the B.J. Thomas hit "Hooked On A Feeling" as the title track, and a gospel medley featuring Sam Cooke's own "Touch The Hem Of His Garment" (originally recorded with The Soul Stirrers).